Navy heathered t-shirt with navy ring neck. 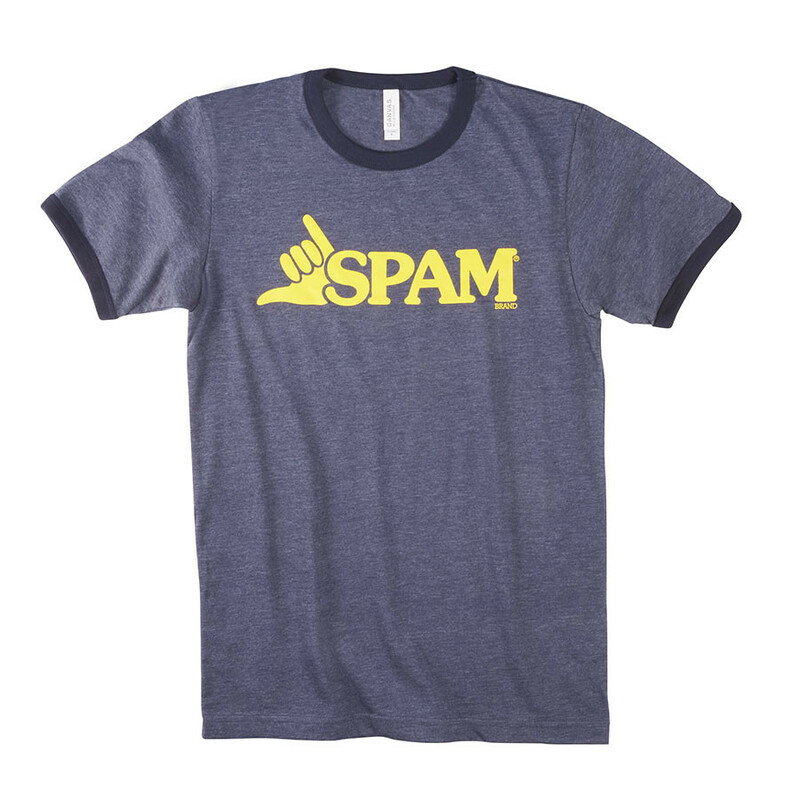 SPAM Brand Shaka logo in yellow on front. Available in men's sizes S-XXL. M & XXL sizes are currently unavailable.